The University of New Mexico's Manufacturing Engineering Program (MEP) is a multi-disciplinary Masters-level academic program that prepares students for real-world manufacturing and management. The graduate program covers modern manufacturing methods across computer, mechanical, electronic, and business disciplines. The program integrates manufacturing theory with manufacturing practice by bringing industry experts into the classroom and by giving students actual industry projects. In addition, the MEP supports state-of-the-art hands-on robotics and semiconductor laboratories, world-class research, and novel training paradigms. The UNM MEP welcomes you to consider manufacturing as a rewarding and challenging career choice, and to then apply. Support for organizations such as Engineers Without Borders, a humanitarian organization that partners with developing communities worldwide to improve their quality of life. 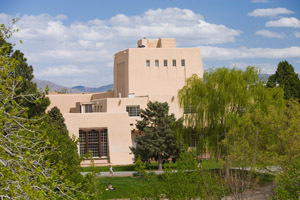 Founded in 1889 as New Mexico's flagship institution, the University of New Mexico now occupies nearly 800 acres along old Route 66 in the heart of Albuquerque, a metropolitan area of more than 900,000 people. 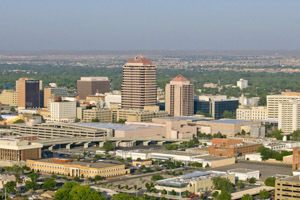 The School of Engineering is situated in Albuquerque, a dynamic metropolitan city with a wide array of cultures, diverse entertainment, over 300 days of sunshine, as well as numerous opportunities for internships and employment in local high tech companies.